Some of the prominent PSUs in the index are Bharat Petroleum, Bharat Electronics, Bharat Heavy Electricals, Power Grid, Coal India, Engineers India, Oil and Natural Gas Corporation, GAIL, Indian Oil and NTPC. Government-owned companies have their issues but stocks of public sector undertakings are likely to be the next hunting ground for bulls and bargain hunters on Dalal Street. 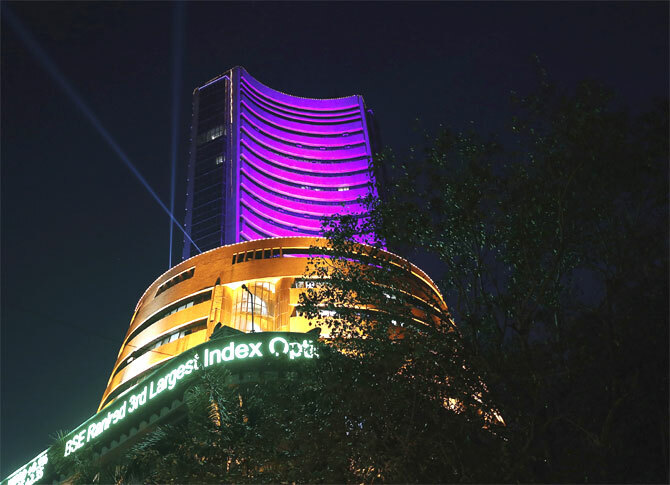 The National Stock Exchange's index of these entities, the Nifty PSE, is trading at nearly half the valuation of its benchmark Nifty 50 on a price-to-earnings (P/E) multiple and price-to-book value basis. The Nifty PSE is currently trading at 13 times its trailing 12-month earnings, significantly lower than the Nifty 50's trailing P/E multiple of 23 times. PSUs are even cheaper on price to book value. The PSE index is currently trading at 1.76 times its book value, around half of the Nifty 50's corresponding valuation of 3.5 times (see chart). Historically, the Nifty PSE has always traded at a discount to the benchmark index but the gap has widened in recent years, as the economic slowdown has had a bigger impact on PSU finances. The analysis is based on the trailing valuation ratio of the Nifty PSE and Nifty 50. Government-owned companies are also more generous in rewarding their shareholders with dividends. At their current value, every Rs 100,000 of investment in the Nifty PSE will yield a dividend income of around Rs 3,000 a year. A similar investment in Nifty 50 would yield a dividend income of only Rs 1,220 a year. This, analysts say, will attract bargain hunters looking for value buys in an increasingly expensive market. "PSU stocks have become relatively attractive, as the valuations of the broader market have become increasingly expensive. "This has made it tough for investors to make long-term investments, as higher valuations raise the downside risk in a market fall," says G Chokkalingam, chief executive, Equinomics Research & Advisory. At current levels, the Nifty 50 valuation is near a 52-week high and only a shade lower than its 2015 high P/E of 24 times its trailing earnings. The pull factor could also work for PSU stocks, as most of them are available on a par with their book value (or net worth), beside sitting on a reasonable amount of cash. "PSUs are out of favour because of the impact of the global decline in commodity prices last year, besides balance sheet issues in government-owned banks. "But, many of the non-bank PSUs have a strong balance sheet, with minimal or no debt and a large amount of cash on their books," adds Chokkalingam. Some investors seem to have taken the cue, leading to bargain hunting in cash-rich PSUs such as MOIL, Engineers India and Container Corp. These stocks were up 50-80 per cent from their 52-week low in the recent rally. Even stocks of oil marketing companies like BPCL, Hindustan Petroleum and IOC have reached new highs. Others, however, warn investors about the growth risk facing many PSUs. "In the banking space, for instance, private sector players seem to be growing at the expense of government-owned banks. There is little visibility of this changing anytime soon. Given this, investors might still prefer private sector banks and non-bank finance companies, even if richly valued," says Dhananjay Sinha, head of institutional equity at Emkay Global Financial Services. Also, the fortunes of many non-financial PSUs, such as BHEL, Engineers India, NMDC and Container Corp are closely tied to the domestic industrial cycle. This has shown no sign of turning around in a hurry. However, if it does turn around, they could be one of the biggest beneficiaries, given their strong balance sheet and a diversified product portfolio. Want to make money in the stock markets? Here's how! Stock markets: Is it time to book profits?